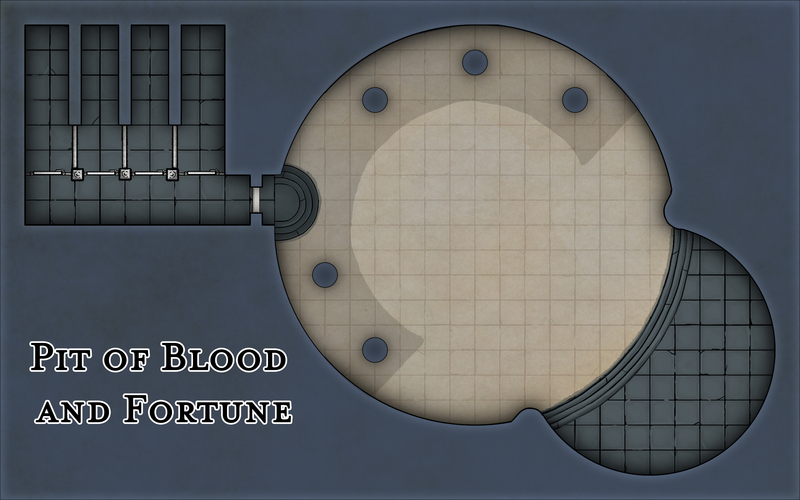 Another free Waterdeep: Dragon Heist map to celebrate our DM’s Bundle becoming an Electrum Best Seller on the DM’s Guild! Admitted – we’re late to the party. It’s taken us a while to make a Trollskull Manor map. And if we’re being honest, it’s mostly because there’s already so many good, free Trollskull Manor maps available. What we did see the need for, however, was an unfurnished Trollskull Manor map for Waterdeep: Dragon Heist, that was completely barren, allowing your players to furnish it themselves. If they decide to do so, we can recommend Mike Schley’s Schleyscapes which were also used in the making of this map. Enjoy – and happy heisting! And here we are, with yet another map for Waterdeep: Dragon Heist, once again using tools from Mike Schley’s Schleyscapes. This time it’s one of the encounters from the encounter chains in Chapter 4: Dragon Season. You can find both player and DM’s versions of the map here. We’ll be putting more maps up for Chapter 4 across the coming days and weeks, as we get them done. We’ve also just published our DM resources for Chapter 4: Dragon Season on DM’s Guild. It’s a series where we give advice, enhancements and resources for Wizards of the Coast’s official D&D Campaign ‘Waterdeep: Dragon Heist’. So if you think that’s something you’d like or you want to support our work, head on over to the DM’s Guild where you’ll find that and much more.